There is a simple formula that you can use to double your sales and double your income. 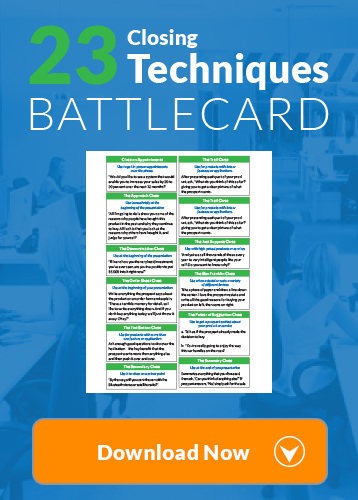 It works in any market and for any salesperson. It has been tested and proven all over the world, in 52 countries. It is guaranteed to work if you will. 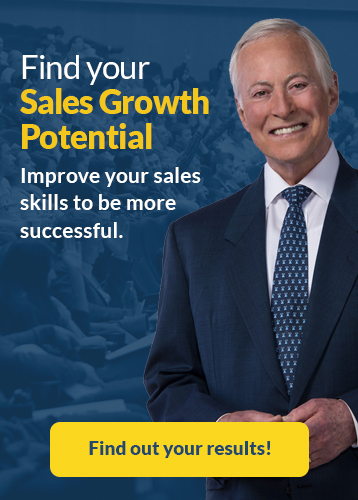 The Law of Probabilities says that you can increase the probabilities of sales success by doing more of the things that the most successful sales people do, over and over, every single day. Average sales people think about their income in terms of how much they earn each year and each month. Top salespeople think about their income in terms of how much they earn each hour, and they are determined to make every hour count. The average salesperson works only about 90 minutes per day. All the rest of the time is spent in idle socializing with coworkers, checking e-mail, reading the newspaper, going for extended coffee breaks and lunches, warming up and getting ready to sell, and then warming down and going home early. According to Columbia University, the average salesperson works 1 ½ hour per day. Of course, this means that half of the salespeople work more than 90 minutes per day and half of sales people work less than 90 minutes per day. I have run into salespeople who become so busy in non-sales activities that they often do not see or talk to a customer at all in one or two days. The Law of Three says that there are only three things that you do each day that account for 90% of the value of everything that you do. There are only three things that account for 90% of your income. There are only three things that account for 90% of your sales, your success and your future. This Law of Three seems to be applicable to every job and occupation. In sales, we now know that the three activities that account for 90% of your value are: Prospecting, Presenting, and Closing the Sale. Your other sales activities are also important, but not as important as the big three. The way to double your income is simple: Spend 80% or more of your time everyday prospecting, presenting and closing. Take care of all other activities in the other 20% of time that you allocate. Better yet, spend 100% of each sales day in prospecting, presenting and closing, and do all your “busywork” before and after hours. If your answer is “no,” immediately stop what you are doing and start doing something that is leading to a sale. 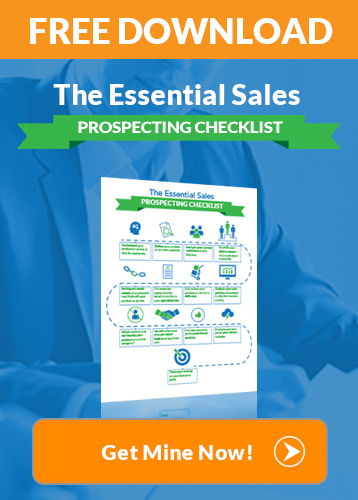 Get back to prospecting, presenting and closing. The key determinant of the number of sales you make is your “face time” with prospective customers. The more minutes that you spend each day face-to-face with prospective customers, the more money you will earn, in any market. If you resolve today to double the number of minutes that you spend prospecting, presenting and closing, by the Law of Probabilities, you will double your income in the weeks and months ahead. Every person and organization that tries this “Minutes Principle” is absolutely amazed at how quickly their sales go up, in any market. If you can’t close the sale, your career in sales will be short-lived. Your job, finances and lifestyle depend on your ability to close deals. My program, The Art of Closing the Sale, will show you EXACTLY how to close more sales and get the results you’re looking for. Learn more today.